Dream Vacation Solitaire is rated 4.9 out of 5 by 17. Rated 5 out of 5 by colorsplash from My Favorite Solitaire Game This is without a doubt the best solitaire game offered on BFG.A different game each level. Good fun every time I play. The last time I played I got through it with no hints. Net time no bonuses!!!!! A really great solitaire game! Rated 5 out of 5 by ruthsv from Best solitaire game I loved this game. My best game for just enjoying a few minutes of relaxation. But since I had to get a new laptop with Windows 10 I have been unable to install this game. Both Big Fish and the original developers of this game have been unable to help me to get it back. I miss it a lot. I would buy it again if I could be sure it would install and allow me to play it. Rated 5 out of 5 by Zandora from The Only Solitaire Game You Need I don't give out many five star review and I play a game for awhile before I review it. This game has thirty versions of solitaire although two of the are locked now. The game vary from the easy Grandfather to the difficult Spider. Some of my favorite games have been Old Clock, Backbone, Cruel, and Penguin. You can play in two modes Classic or Vacation. In Classic you choose your game. In vacation mode you Island hop and play selected games on each Island. While in Vacation mode you can win trophies. In both modes you are provided with various aides that help you win the game such as reshuffle the table,or go through the deck. You can also use hints to help you win. Rated 5 out of 5 by anitasmile from Great Solitare I completely agree with all the other reviews. 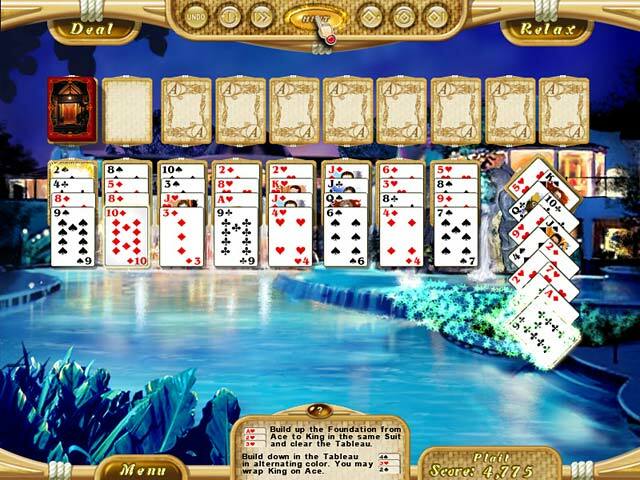 This is the best solitaire game I've purchased from Big Fish. 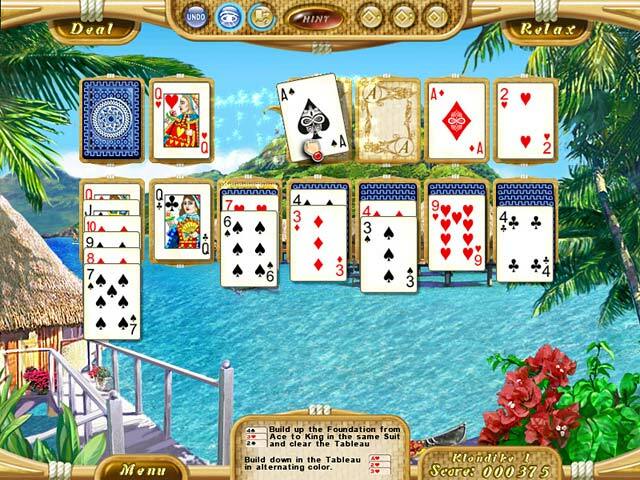 There are many different solitaire games with excellent instructions on how to play them. The graphics are excellent. I've been looking for a game like this. I want more solitaire games like this one where you don't play the same game over and over. Rated 5 out of 5 by Momobuster from Finally, a true solitaire game! Finally, a solitaire game that really delivers! It's not the same, single solitaire [i.e., golf, Klondike, or mahjong passing for a card game] that almost all the other "solitaire" games are. 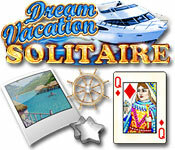 This offers a great variety of solitaire games. 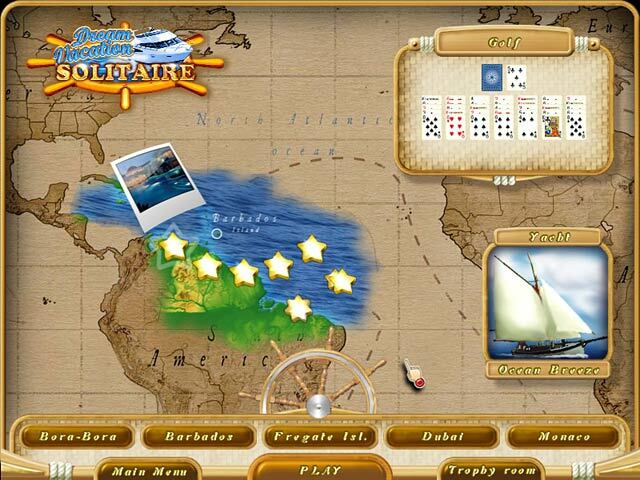 You can play through the storyline [I love sailing - this was wonderful] or you can go right to any individual solitaire game once you unlock them through the adventure gameplay [which is fairly easy to do]. Because of the variety of games, this is perfect for all skill levels - easy to expert. The visuals are pleasing, as are the sound effects and music. I heartily recommend this game to anyone that likes true solitaire games. Rated 5 out of 5 by LikaLaruku from Seagulls & crashing waves. I love Klondike, Yukon, & Fairway-style solitaire, I love bright colorful graphics & busy designs, but when I heard the ambiance; waves crashing on a shore & crying seagulls, I was sold; that's only the most relaxing sound combo in the world. If you can play this on a tablet/laptop/phone, I recommend going to your back yard on a sunny day with a lawn chair & a frosty drink. Rated 5 out of 5 by jcarr13 from Can't stop playing I love this game and wish there were more with a different theme as once I complete all the levels, I go back as a different user and start over. I really enjoy the different games, some of which I have never heard of but were so much fun. This is one of my all time favorite BF games and that says something since I am a die-hard Hidden Object player. Rated 5 out of 5 by junerlt from great game love that each level is a different form of solitare! Rated 5 out of 5 by scoonerz from Awesome game!! I just love this game, it has really nice graphics and great game play. Well worth the download and the $6.99 they ask for!! I bought this a few years ago and always come back to play it, it also has classic game play where you can select the game you wish to play after you have finished that level. I give this a five star would give more if it was offered. Two thumbs up WAAAAY UP!! Rated 5 out of 5 by Im_Kimmy from Favorite Solitaire Game!!! I really like the variety of solitaire games when playing the storyline mode. Most solitaire games these days are just the one card higher or lower over and over again. These are the kind of solitaire games I like to play. I wish there were more solitaire games like this.